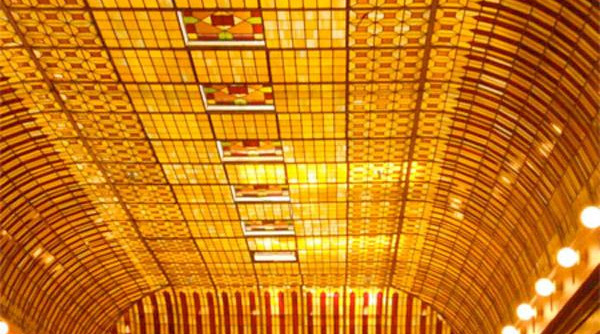 Stained glass is part of an ancient art tradition, dating back to the seventh century. It has taken its well-deserved place in art history over the years. Archaeologists are always amazed when they uncover some beautiful and magically preserved stained glass. Scottish Stained Glass recognizes the importance of preserving and restoring antique and historic pieces of this art form. Obviously, stained glass panels, no matter how carefully they are constructed, are made of glass, a substance that it is all too easy to shatter. 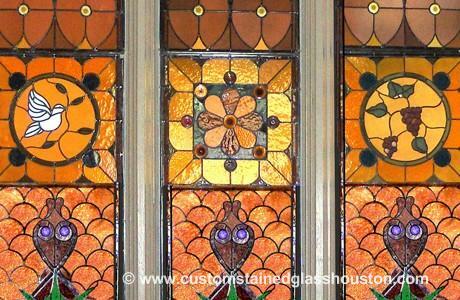 Many historic and beautiful Houston stained glass windows have been restored by Scottish Stained Glass over the years. We have heard that some other stained glass companies turn down repair work, but we consider it part of the stained glass tradition and are pleased to do it. How sad to lose a stained glass relic, or just a piece with sentimental value, because no one would repair it!! Whether a cathedral window, a hotel lobby skylight, or just your grandmother’s stained glass Tiffany lampshade, repairing stained glass is an important part of the Scottish tradition. If the piece needing repair is over 50 years old, a full restoration is usually necessary. This involves taking apart the panels, keeping careful track of the original glass. All the leading which makes stained glass so unique will have to be redone. If any of the original glass was broken, new pieces will have to be cut, matching perfectly the size, shape and color of the originals. You can see why many stained glass companies refuse this type of exacting work. But when we are finished restoring a panel, the window is as glorious as it was when new and strong enough to last for many more generations. Since stained glass is such an ancient tradition, it used to be done completely by hand. Although we advertise that all our pieces are handcrafted, the fact is that the glass cutters and other tools we use today are light years improved from the tools of old. The old artisans and masters of stained glass worked entirely by hand. The equipment they used, such as glass cutters, was far inferior compared to what we have today. The ancient masters had none of the equipment or processes we have today, but they managed to create exquisite works of art. At Scottish Stained Glass, we have so much respect for the artisans of old that we happily accept restoration of stained glass as an important part of our mission.